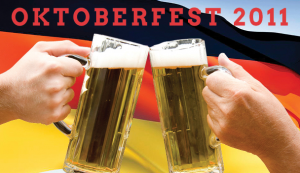 View the famous ice skating rink and grab a stein on October 11at restaurant Rock Center Café in Rockefeller Center at their exclusive Oktoberfest Beer Dinner. The feast includes a four-course selection of traditional specialties and seasonal brews. The cost for this event is $58/person, and begins at 6:30pm. This entry was posted on Thursday, October 6th, 2011 at 9:05 am	and is filed under Stuff to Do. You can follow any responses to this entry through the RSS 2.0 feed. You can leave a response, or trackback from your own site.